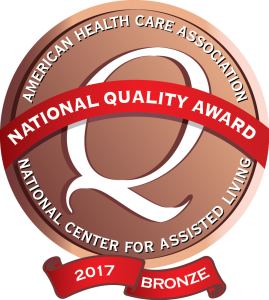 We are proud to have received a 4 star rating from the Centers for Medicare and Medicaid and from US News and World Report for 2015. Established in 1954, the Kentucky Association of Health Care Facilities (KAHCF) is the trade association that represents propriety and nonproprietary nursing facilities and personal care homes across the Commonwealth. One of the state affiliates of the American Health Care Association, KAHCF provides a wide variety of services to member facilities including legislative and regulatory activities, professional development, statewide recognition programs, publications, media relations, research and advocacy relations. 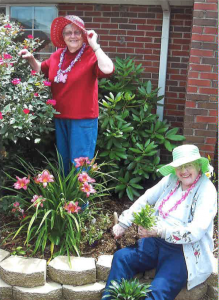 The goal of the non-profit Kentucky Initiative for Quality Nursing Home Standards (“KY IQ Group”) is to pursue creative initiatives to explore common ground and foster a collaborative effort between nursing home providers, family members, advocates and elected officials to support a level of care for all nursing home residents that is consistent with our Mission Statement.